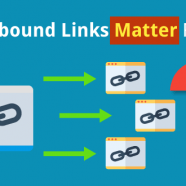 Home » SEO Articles » Do Outbound Links Matter For SEO? I’ve had a number of comments questioning the usefulness of outbound links recently, so I wanted to create an official space for that discussion, and help people understand the uses and benefits of outbound links. If you’re looking for a quick answer to the question in the title: Yes. Now that’s out of the way, we’ll look at why, and how, to get the best out of your outbound links. DISCLAIMER: Outbound links will be useless if they aren’t wrapped up in high quality original content. Outbound links are, in that way, only as good as the piece they’re in. If you’re looking for writing advice on how to create great articles, we have plenty of that. If you’re looking for strategic advice on content planning, we have that too. This is a great article for those who want to make sure their high-quality content is as muscular as possible, creating the greatest impact on search engines and readers alike. Outbound links are links that directs you elsewhere. Outbound links, or external links, are links that will send your readers from your website to other sites across the internet. Commonly, these are used to verify facts, backup sources, or simply point people toward resources. These are the opposite of Inbound Links, which direct your readers to other parts of your own website. The two kinds of outbound links are: nofollow and dofollow. Which of the two do you normally use? This is usually defined by simply putting rel=”nofollow” (or not) into the HTML of the link. nofollow tells search engines not to follow links – as you’d expect. dofollow links pass on ranking power from your website to the targeted page. A good way to think about these links is that they’re like votes, accrediting the pages you link to with a measure of authority. If you pass people over to another site, you’re giving them a vote of confidence, increasing their authority. If you choose to use a no-follow link, you’re blocking that vote from being passed on. Nofollow links can help you avoid some of the penalization systems that Google and other search engines use to moderate the overuse of certain kinds of links. But first, let’s talk about the advantages of outbound links SEO. Nofollow links should be a minority of your outbound links. Nofollow links essentially break the chain between your site and the source you’re sending people to. This can be useful, even valuable, in navigating some of the finer points of SEO algorithms, and general etiquette. Paid links – if people buy links on your site, Google can penalize you for that practice, and these penalties can do damage to your ranking and exposure. Links in comments – defaulting these to nofollow means spammers putting links to disreputable sites can’t get credit from your site, which if they’re found to be fraudulent, can also result in penalties against your site. User generated content – If you allow guest posts or user generated content on your site, no-follow links can prevent you from inadvertently “vouching” for the content. This is a great bit of insurance from a PR perspective, too. It’s one thing to host an open space to communicate ideas, but another entirely to promote and endorse controversial or offensive material. Embeds – it’s good to embed content from other sources, but if you aren’t fully behind the wider content and you’re only using an excerpt, nofollow links can help save readers’ time by not sending them off to an otherwise low quality piece of material. Other times – Essentially, use nofollow any time you think there might be a problem, whether for readers or for algorithms, with you endorsing another website. The majority of the time, however, outbound links can be invaluable, and while nofollow limits the damage these outbound links might be able to do, they also eliminate any benefits. Here’s why you shouldn’t just nofollow every link. Search engine algorithms can learn a lot about your site from who you link to and how. You can think of your links as a providing clues to the industry you’re in, the problems you’re attempting to solve, the competitors you have, and how relevant a page will be to people searching online. If you provide backlinks to high authority pages, you build a search engine’s trust in your website that you are a legitimate player in your field, which will increase a search engine’s confidence when serving up your page as a result to their users. By including outbound links to relevant, high authority sources, you can boost your own reputation in the process. Think of it as a form of association – you are saying you operate in the same circles as the biggest names in your industry. It’s also very common that people don’t have time to visit five different high authority websites to get all the information they need, so providing shortcuts to where they can find that information will help you be seen as an authority and an expert. Quality content is what is going to differentiate you from your competitors, and linking to other quality content provides a fast, instant value-boost for your readers. People are far more likely to come back and read your blogs when, in doing so, they also get a guided tour of the best material currently available on the web for that topic. As more people keep coming back, you will see a big authority bump from the algorithms, which will see the trust people place in your site. Using outbound links helps you begin to establish a network with other bloggers, journalists, websites and companies. Endorsing their work will encourage them to do so in return, and the more other websites engage with and link to you content, the higher up the Search Engine Results Pages (SERPs) you will go. Being on the first search engine result page will in turn help more of the general public interact with businesses. One caveat: the backlinks themselves aren’t all that useful in garnering direct traffic. Only a small percentage of people actually click the links. It’s more about the ranking bump you get from search engines that helps you net more organic traffic. Will Outbound Links Affect SEO? How does it affect…er… SEO? Yeah, big time. In fact, outbound links are one of the most important and versatile sources of ranking power, because search engines view them as third-party endorsements of your website. The one thing you don’t have to do is include keywords in your outbound links – this will help those other sites with their SEO, but not necessarily do you any favours. It’s your call if you want to be generous. You have to give to receive, so, here are some outbound linking best practices for you to follow when you write your posts. With these, you’ll be gaining authority and networking like a pro in no time. Let’s look at 6 practices we should adhere to. First things first, don’t force links into your text. Linking can actually help you be more focused and rigorous in your writing, which in turn will improve the overall quality of your articles. If there’s a tangent that you think would be of value to your readers, but it isn’t the focus of your article, then link to someone who’s already discussed it in detail, and everybody wins. Equally, if you make an assertion, back it up with a link to your sources. These kinds of natural links will help you keep everything relevant, while further supporting your point. Like a math problem, this kind of linking helps you “show the work”, so your readers can see the kind of commitment you have to researching your articles. Building links should be organic, not forced. If you’re doing the writing part right, there’ll be ample opportunities without having to force it. If you’re struggling to come up with outbound links organically, consider using Google’s related link tool. In the Google search bar, just enter “related: ‘thenameofyourwebsite’” to be furnished with a series of results Google thinks is relevant to your website. Sidebar: if this list is completely irrelevant, it will also give you a good indication that your SEO isn’t pitching you into the right industry. Google’s Panda update broke up the mutual backlinking blog and website networks that helped sites quickly ‘fake’ authority and hike their rankings. People still do this, but if Google spots too many mutual backlinks, these will be devalued and their power lost, even dropping into the negative. This may be an appealing way to rush the system, but slow and steady wins the race. Because outbound links deliberately send people away from your site, you have to make sure your site isn’t abandoned in the process. This can be damaging for you and frustrating for readers – I’ve lost count of the times I’ve been irritated by having to hit back, right click, then open in a new tab manually. To open links in a new tab, simply add target=”_blank” to your link HTML. Your readers will thank you, and you’ll save a lot of engagement that would otherwise be lost. To paraphrase Paracelsus, “everything is a poison, it just depends on the dose”. You can have too much of a good thing. If you overdo it with your outbound links, you’ll end up distracting your reader and repeatedly pushing them away from your site and towards the sites of others. If you spam links, you’ll also undo your outbound links SEO benefits. Only include links that are relevant and helpful to your readers. Keep them relatively sparse, and emphasize the content of the link within the sentence you’re linking from. This way, people know what they’ll get if they click the link. If you’re linking to support an assertion, often people will just assume you’ve done the research and not click it. If you’re saying “this will help you” they’re a lot more likely to click. If linking to well-respected, influential sites and posts can increase your perceived authority, then linking to low quality user generated posts like blogs, comments, forums and sub-reddits is going to erode people’s confidence in your work. What’s more, don’t allow links in your comments. I’d even go so far as to manually monitor and approve comments when you’re starting out, to ensure only constructive conversation is nurtured. Users won’t want to become part of a community choked out by spammers, self-promotional guest bloggers, trolls and so forth. Protect the quality of your content, and you protect your image too. Pro-tip: use a outbound link checker to ensure all your links are current and up to date. Broken links will be held against your ranking by the algorithms. Here at SEOPressor, we provide the smart link manager service for those of you who are not aware of this element. It allows you to monitor and design your optimum link profile that will increase your reader’s retention and reduce bounce rates. I’m pretty sure you wouldn’t want to miss this! Instead of having to check your links one by one (imagine doing that to all the blogs posts you’ve written), you can now get it all done efficiently in one place – SEOPressor’s Link Manager. By now, you should be convinced of the value of Outbound Links to your SEO strategy and the future of SEO. Using them, and more importantly, using them well, will help you make a real difference to your website’s bottom line. Just make sure to compose your links so they’re always relevant, easily navigable, and increase convenience for your readers. With this achieved, you’ll be building your profile, authority and ranking in no time. Do you have an outbound linking strategy I’ve missed? Share it with our readers in the comments below. Any questions? Throw them in the comments and I’ll be happy to answer them.